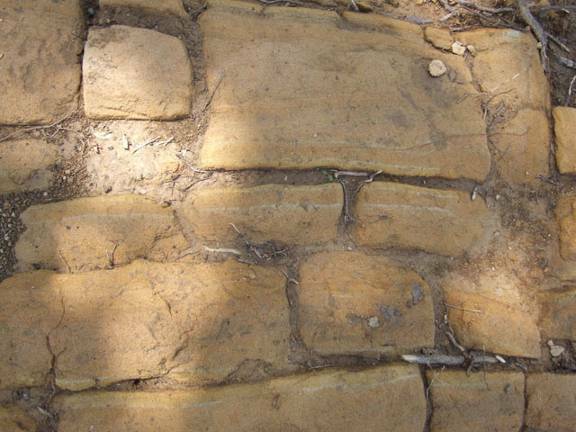 A visitor to the Pyramid of the Moon sent us this photograph of the surface of one of the slabs on the terraces at the foot of the Pyramid on the west side. 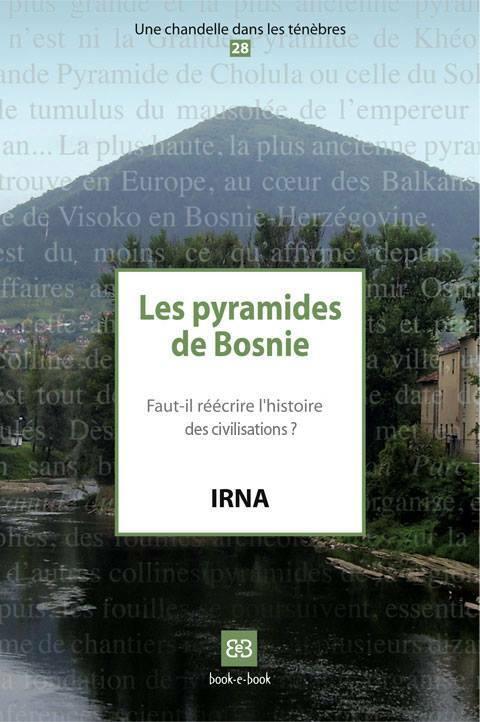 The strange undulating patterns on this pyramid and on the stone temple of Vratnica are the subject of numerous hypotheses: were these slabs cast on the spot, or were they sculpted in the first Bosnian quarry, or were they perhaps the result of the action of waves on their surface? 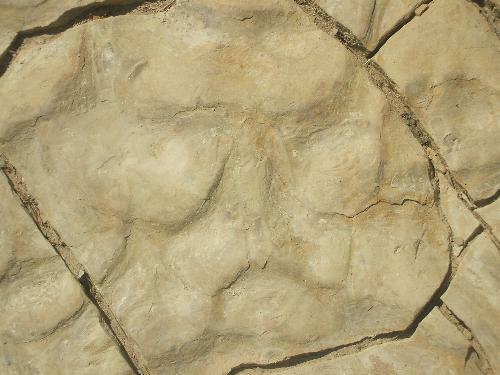 If it was one of the two first options, our visitor’s suggestion that a face was possibly sculpted or moulded on the surface of the slab is not impossible (sic). Let’s not dwell on the fact that, in my opinion, this visitor is, in common with the entire Foundation staff, suffering from a severe bout of pareidolia (for instance, at this URL (bs) is a document where Mr. Goran Cakic identifies "a mysterious human face" on various photographs taken in the tunnels or on the pyramids). In my view, the two most striking aspects of this news item, yet again, lie in the light they shed on the total ignorance of the Foundation’s geological "experts", and - as most of the project opponents think - their determination to deceive the public, to make people believe that "the moon is made of green cheese" or that natural geological phenomena are "sculpted" or "moulded". Regular readers of this website will have quickly realized that these "strange undulating patterns" are what geologists call "ripple-marks". However, contrary to what the Foundation news implies, the origin of these marks is not a topic for discussion by geologists, as it is known that they are the result of the action of waves, or of currents, on a still unlithified sediment, as can be seen on any sandy beach. Beside the Gallery where I have compiled numerous instances of such natural geological phenomena, I am detailing here a few cases of Foundation "pseudo-artifacts," along the same sort of lines as the "sculpted face". That the layman could be confused by regular pavements, undulations, coloured rings and stone spheres, to the point of thinking they are the result of human intervention, is hardly to be wondered at. Nature contains many examples of regular constructions of this sort, sometimes so astonishing that people should be forgiven for hesitating and thinking, "this cannot be natural". In the scientific arena, "common sense" is not always the best guide, and the "impressions" such as "I came, I saw, I am convinced" from visitors, even if sincere, that the Foundation publishes on its website news pages, serve as confirmation of only one fact: how easy it is to deceive the public. However, it beggars belief that scientists – and not just scientists: geologists - could allow themselves to be misled by these sorts of phenomena. Whilst conceding the possibility that some geologists might never have encountered such phenomena, the very least that someone who had received any sort of science-based education should do is to make relevant inquiries, which would prevent them from peremptorily concluding that the origin of such or such a structure must be human. Readers will remember how, for example, when the first "ripple-marks" were found on the "pyramid of the Moon", the then principal Foundation geologist pronounced them to be "ornamental figures" made with "unknown tools"; or how the Egyptian geologist , Mr. Barakat, apparently did not hesitate for a single moment before claiming that the stone spheres were "man made". "Les boules de pierre sont l’oeuvre de l’homme"
At the time of writing this article, it seems that there is no longer a permanent Foundation geologist in Visoko (various reports (bs) refer to Messrs. Barakat and Andretta as expert geologists for the project, but they are not on site, and, at the time of writing, neither has published anything on the subject of the project). 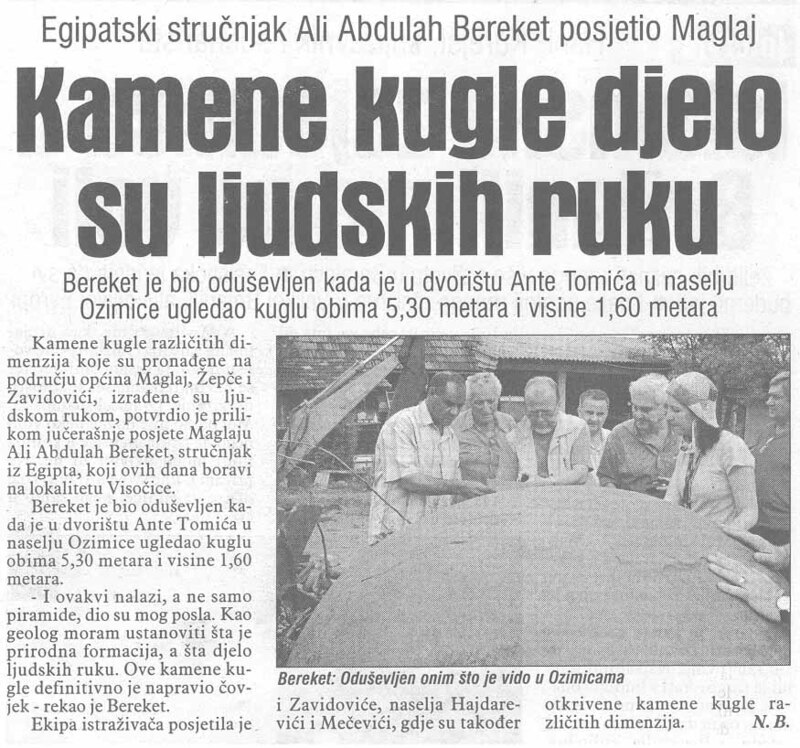 During May 2007, a group of "multidisciplinary experts", "leading Bosnian scientists" in the respective fields of geology, construction, mines and non-metallic materials, visited the site: but their "conclusions (bs)" and "technical impressions (bs)" are more akin to those of "alternative” geology than to the actual academic science of that name. We now come to the last "multidisciplinary expert", Dr. Mustafa Mulalic, a geologist, who, according to the Foundation, has specialist knowledge of the coal-bearing layers of the Zenica-Sarajevo basin – someone, therefore, who might have been expected to have an extensive knowledge of the sedimentary layers that lie above these coal-layers. Dr. Mulalic sees various "anomalies" on Vratnica and Pljesevica, anomalies that he "had never encountered during his fifteen years of experience". He describes one of these "anomalies": "In the diluvium, that is in [the layers] that were formed during the last million years in the Quaternary, I noticed a stone layer reminiscent of a perfectly constructed pavement, 10 cm thick …" And he goes on to explain that, even if there could be a few blocks haphazardly placed within this "diluvium", it is impossible for the blocks to have been placed in such an "organized" fashion without human intervention. Here an explanation is needed: "diluvium", as mentioned in the text, is an archaic term – now little used by geologists or geomorphologists – formerly used to designate a sort of superficial formation. Superficial formations are layers, usually relatively recent and non lithified, lying between the soil sensu stricto and the quality rock below; they can be allogenic (transported - by rivers, for example), or the result of weathering of and alteration to the underlying rock, and are given different names according to their origin and the way in which they were formed. The word "diluvium" was used to describe formations resulting from a deposit by flood waters (the word itself comes from the Latin "diluvium", deluge). Now, on the one hand, not one of the photos of the superficial formations, whether on Pljesevica, on Visocica or on Vratnica, appears to show anything even faintly resembling a "diluvium" (that is, containing a significant portion of boulders rounded to varying extents by the action of water). On all these hills, the superficial formations seem to be classical "eluvium" (resulting from the weathering of local rocks) and "colluvium" (the same, with some displacement by gravity), of the sort that Dr. Mulalic identifies later on in his text, when speaking of Pljesevica. And, on the other hand, it is evident that the "pavement" referred to as existing on Vratnica is nothing other than the upper part of the Miocene layers, and that what is under this "pavement" is not a superficial formation (be it diluvium or eluvium), but rather the Miocene marls still in situ. more importantly, the most insurmountable obstacle to this explanation is that it is beyond question that the "lines" visible on these photographs are not stratification planes, but "Liesegang bandings", bandings coloured by oxides subsequent to the processes of sedimentation and the lithification. In short, this geology is every bit as "alternative" as Mr. Osmanagic’s archaeology; and it is difficult to distinguish between actual incompetence, and flawed argumentation based on an agenda involving political, rather than scientific, support for the project. And, in this “millions of years” scenario, what would happen to Mr. Osmanagic Senior’s theory according to which the tunnel is cut through "marine breccia" deposited 12,000 years ago during a "catastrophic flood" above the tunnel "monoliths"? This second version was put online by the Foundation after the publication on the "Geolog Mrak" blog of this article (bs) where he pointed out some of these absurdities.